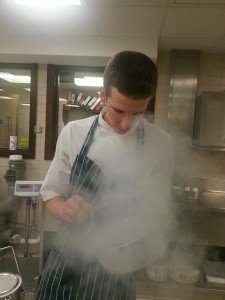 Charlie Taylor is an aspiring young chef who has recently been nominated as a finalist for the young chef of the year award at the Sussex Food and Drink Awards. These take place towards the end of January 2013. 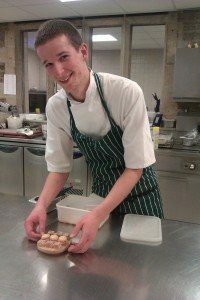 I am 20 years old and have been working in professional kitchens mostly in Brighton for 6 years now. Learning and loving all aspects of the catering industry, from meeting and visiting suppliers, creating new dishes, different styles of cooking from classical dishes to modern techniques. I grew up most of my life in Brighton wanting to be a chef ever since I can remember, so the second I could get a job in a professional kitchen I did. I was 14 and was a kitchen porter in a small restaurant, working my hardest after school and at weekends in the sink so I could get in the kitchen. After just a few months of showing passion and interest in food I was made a commis chef. After working there for a couple of years I left school and went to Brighton City College, but the kitchen bug caught me and would only go to college if I could work at the same time, so I landed myself a job at Sevendials restaurant (now Sam’s of Sevendials) and a two day a week course at City College. Although this lead to long stretches of up to a month or two with any days off I knew it was the best thing for me to do at the time. 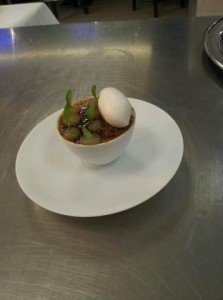 I would defiantly recommend Brighton City College for young chefs because they are very flexible with their learning hours; this is why I choose City College because I felt the need to work at the same time. I would have to say I have two favourite restaurants in Brighton, both for very different reasons. 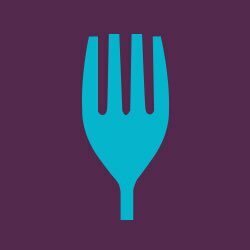 Which are your favourite restaurants and why? The first is Moshimo, this is because as a child I was always told not to play with my food, but at Moshimo I love the fact the you are encouraged to take food off the forever revolving conveyer belt that produces amazing fresh classics from Japanese cuisine, which is a cuisine I am fascinated with. The fresh flavours, spices and cooking techniques are so traditional yet modern in their own way. The second is a little restaurant on Western Road called Graze, this is a small fine dining establishment producing what I think is the best quality food in Brighton. 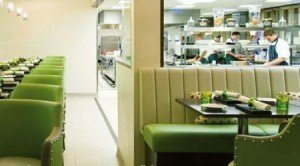 Seasonal modern British tasting menus feature at Graze, which is a style of dining that has always fascinated me. I love that I can get 5 or 6 dishes knowing most of the ingredients are from the UK, with every dish looking as good as they taste. What is the best bit of advice you could offer to a home enthusiast? If I had to give advice to a home enthusiast it would be to not follow recipes. I do agree recipes are a great tool to have in the kitchen, but once you have understood the recipe and why the tastes or textures work together, then recipes should turn from instructions to guidelines, the quicker you put your own interpretation onto a recipe, the better cook you will become. After all there are no rules in cooking, as long as you enjoy what you are cooking and more importantly enjoy eating it. We wish Charlie all the success with his awards ceremony and we will keep you posted on the results!